This feature was already available on other networks, but Verizon's system wasn't supported before now. 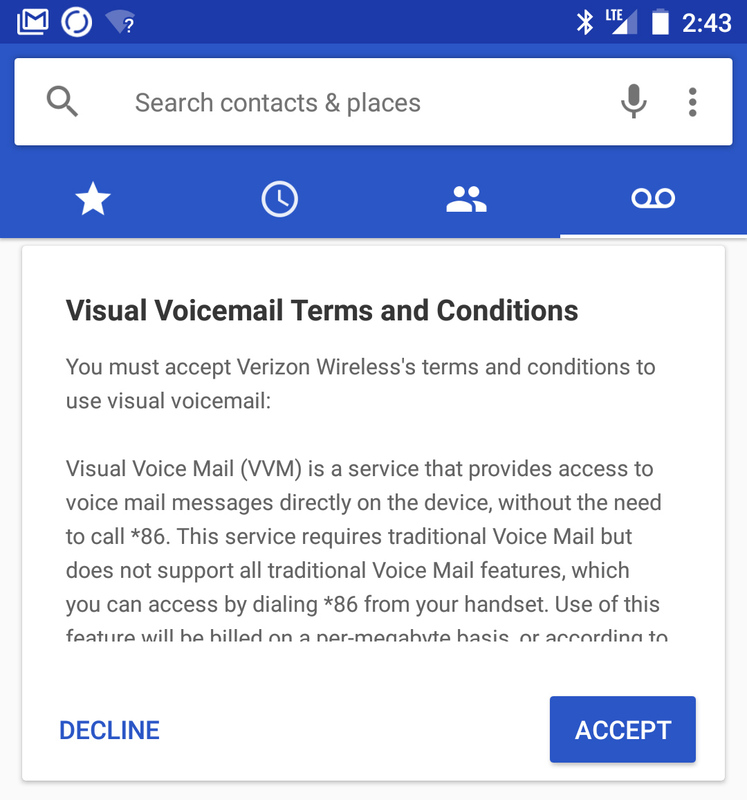 If you're using a 7.1 device on Verizon, you'll see the voicemail tab and be prompted to accept the terms and conditions. 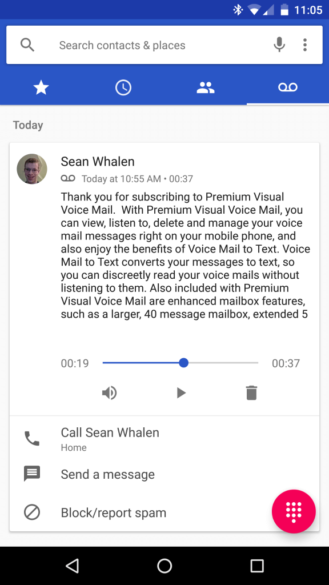 The data used for visual voicemail counts against your account, but it should be a negligible amount. Standard visual voicemail shows you each message as a card with playback controls. If you have the premium visual voicemail service on your account (an extra $2.99 per month), this screen will also showIf you have the premium visual voicemail service on your account (an extra $2.99 per month), this screen will also shown message transcriptions (above) message transcriptions (above). You can send messages and return calls from the voicemail tab, and calling your voicemail the old-fashioned way is still an option. The updated phone app is only in Android 7.1 right now, so it's possible this will be available on older builds eventually with an updated phone app.